Jet lag, digestive distress and inflammation can all be accumulated from flight. Among its many benefits, like improving mood, they are great for reducing inflammation. While traveling, your immune system tends to be a little compromised (and you are likely to be exposed to unfamiliar bacteria), probiotics can help boost your immune system with good bacteria. Travelling usually means being off of your normal routine and eating different foods. I take vegan greens+O with water to ensure I meet my nutrient requirements daily. 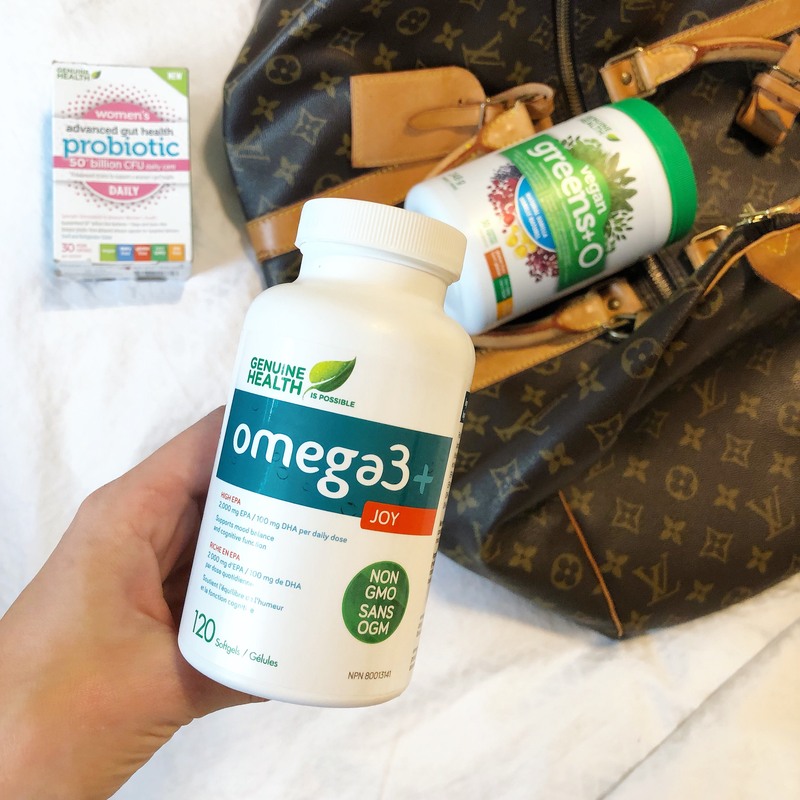 What supplements do you never travel without?